It is quite true that academic abilities have always been important criteria in determining if your child is gifted or not, but talent in visual or performing arts, leadership qualities, and intellectual curiosity are also very important. But unless parents help nurture those talents, gifted children can become bored, socially aggressive, or, ironically, underachievers in the classroom. This book is a practical and wise guidebook for raising and educating our gifted children from pre-school to adolescence. It has strategies to determine in what ways your child is (or is not) gifted. Things you will need to know if s/he is gifted is how to find an appropriate daycare center, the right school, and reference library for your home. You will learn where the school’s role begins and where your role ends, as well as giving ways to keep our children’s creativity alive, cope with sibling rivalry, etc. See also: Children, Parental Guidance, And Emotional Intelligence, Emotional Intelligence: Why It Can Matter More Than IQ, and Emotional Intelligence. Don't just decide your child has ADD and start giving him drugs! (See Reclaiming Our Children.) Perhaps, in reality, your kid is GIFTED. Use this book to help with this determination. There will be many psychologists and psychiatrists and teachers that wil try to throw drugs at your child, since that is the easiest response to a child with problems. But a lot of kids get misdiagnosed and way too many end up popping pills even though there are often better solutions. 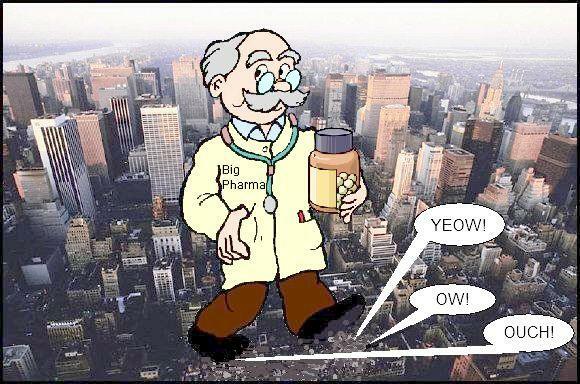 Who knows how many parents are ruining their kids' lives because some quack loves pleasing Big Pharma by pushing pills?! This is your child's brain. 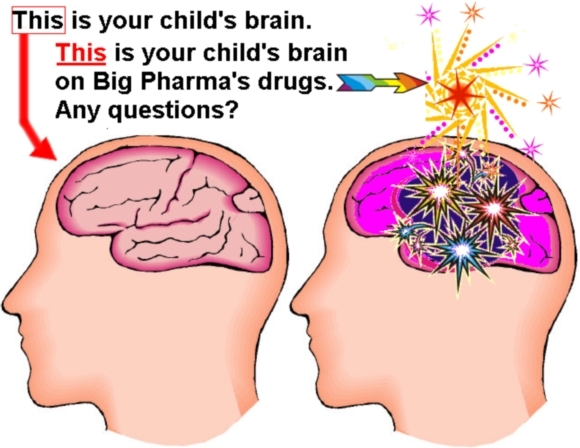 This is your child's brain on Big Pharma's drugs. Any questions? The ultimate way to make sure kids get the most inspiration and empowerment toward autonomy and self-actualization and the ultimate way to make sure kids get the best support for giftedness is MCs. Read The Forest Through The Trees to see what we mean!